Is Wakanda's 'Black Panther' Tech Better Than Tony Stark's? Maybe it’s just because we haven’t seen Tony Stark innovate onscreen in years, but there’s something about the technology presented in Marvel’s Black Panther that makes it seem like Wakandan tech is miles ahead of anything Stark has ever dreamed of. When we finally step inside Wakanda during Black Panther, we see a culture rich with ancient ritualistic heritage. But the pinnacle of afro-futurism is also so technologically advanced that its capital city looks like something from the far-flung future. Yes, this is all all all all science fiction, but in some ways, Wakandan technology makes the country feel more alien than the literally alien world presented in Thor: Ragnarok, and it eclipses almost anything we’ve seen in the greater MCU, including anything Tony’s shown us. Just compare the suits of Iron Man and Black Panther if you don’t agree. One is bulky and consumes a lot of energy just moving or flying around. The other is so thin, complex, and efficient that the whole thing can be kept inside a badass necklace yet still be impervious to damage while absorbing and emitting mass amounts of kinetic energy. Yes, Black Panther has a better suit than Iron Man. Tony Stark’s long been the tinkerer, using his brilliance and innovation to make something amazing out of limited resources. Remember when he built a miniaturized arc reactor in a cave out of spare parts? That would be pretty much impossible for anyone else in the MCU. Though he’s done much to help with energy conservation efforts across the globe and fund STEM-oriented educational endeavors, most of the innovation we’ve seen from Stark come in the form of new Iron Man suits. These days, he can interact with or control his armor by mentally willing it and even pilot it from across the globe. But also remember that with notes from his father, he was able to invent a new element in Iron Man 2 with properties not all that dissimilar to the Tesseract. And in the field of artificial intelligence, Stark seemingly wins out when it comes to technological advancement, especially considering what we’ve seen from J.A.R.V.I.S., Ultron, Vision, and of course Karen (the one in the Spider-Man suit). 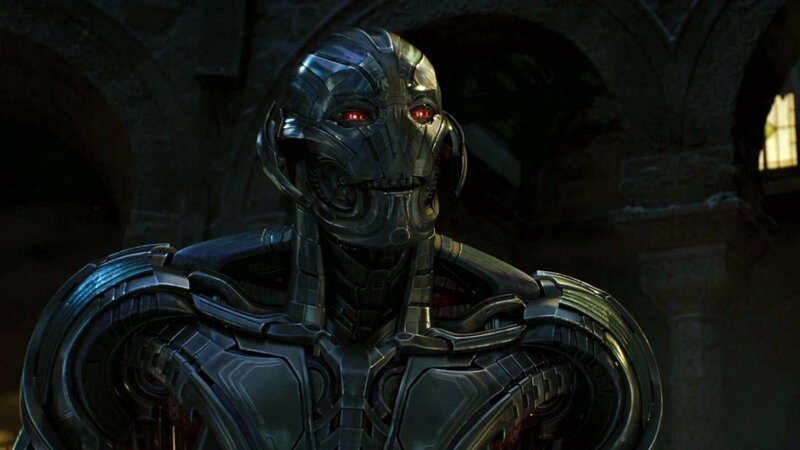 Despite being super evil and all that, Ultron was a pretty incredible technological achievement. But think of the Black Panther intro sequence from the early Nineties, when Wakanda already had a vibranium Black Panther suit and a hoverjet capable of stealthily dropping onto the roof of a random building in Oakland, California. This was 16 years before Tony Stark built the first Iron Man suit. 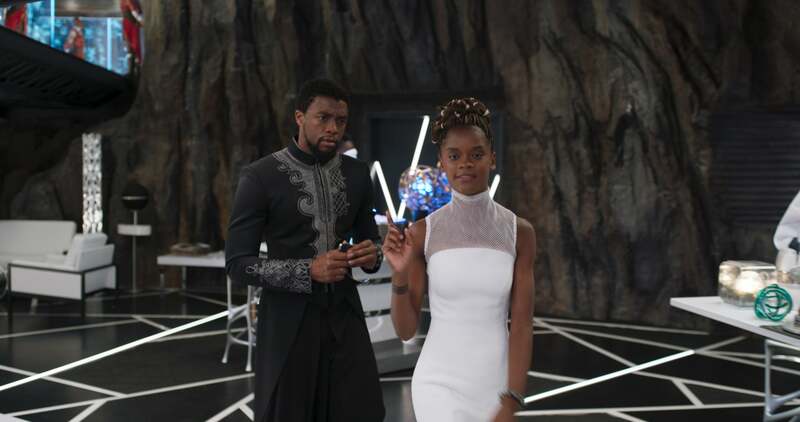 In the present day, T’Challa’s sister Shuri leads Wakanda’s technological development, and we already know she’s even smarter than Tony Stark. In an Infinity War prelude comic, Shuri is able to reprogram Bucky Barnes’s mind using a digitized A.I. construct. So by the time he’s awake for Black Panther’s post-credits scene, he’s completely cured of his violent programming — and Wakanda’s got A.I. programs that could probably outdo anything Stark has. She also developed and intricate train system that runs underground using maglev trains (they run on magnetic levitation), which exist in real-life. But the real ones have nothing on the speed or efficiency we see in Wakanda. Also consider the medical advances that Wakanda has access to on account of the vibranium. Whereas Tony Stark couldn’t do much to help Rhodes beyond physical therapy, Shuri was able to fully heal Agent Everett Ross after he took a bullet to the spine. Maybe she can do the same for Rhodes? Shuri's about to change what technology looks like for the entire globe. In all this, you can’t help but wonder: Where would Tony Stark be if he had a seemingly unlimited supply of vibranium at his disposal? Maybe we’ll find out between now and Infinity War, because we’d be willing to bet that Tony Stark is going to leap at the chance to gain access to more vibranium now that Wakanda has opened its borders following Black Panther. Chances are, Wakanda sharing its resources with the rest of the world is going to have huge implications in various technological fields. If the mid-credits sequence from Black Panther is any indication, then Wakanda and Tony Stark will soon be working together to build a better, safer future for everyone. But yeah, Tony’s probably going to make a full vibranium suit of Iron Man armor first thing. Black Panther is currently in theaters with Infinity War out May 4, 2018.